It’s my privilege to welcome Phillip Holmes to the blog. Phillip is a classmate of mine at RTS Jackson. He is also the co-founder of RAAN–a ministry that would not be where it is today without his stewardship. Most importantly he is a dear friend and a brother in Christ. I’m glad to host this post in support of his ministry as an intern for Reformed University Fellowship (RUF) at Jackson State University. I would like to simply thank you for taking time out to read this open letter. I’m thankful for the body of Christ and those who are eager to lend a helping hand whether through prayer, finances or simply words of encouragement. I’m writing to solicit your prayers and support as I attempt to raise $3,000 for my ministry with Reformed University Fellowship at Jackson State University, a Historically Black College or University (HBCU). For those of you that may not be familiar with the ministry, RUF is a college ministry of the Presbyterian Church of America (PCA). It is on more than 100 campuses across the country and has grown to include over 200 full time staff. The purpose of RUF is to build a community on the college campus that reaches students of divergent beliefs and doubts with the message of the gospel. For the past two and a half years I have worked as staff with RUF at Jackson State University. The presence of RUF at Jackson State is significant and special for three reasons. 1. RUF at Jackson State is the first chapter on a Historical Black Campus. Although attempts were made in the early 2000s, RUF had never breached a Black campus until 2007 . Because RUF had never been established on a HBCU, my church’s Session (Redeemer PCA), RUF and the Mississippi Valley Presbytery allowed Elbert McGowan Jr. to spend his last year of seminary on the campus of JSU to “test the waters.” By the end of that year, it was obvious the LORD was at work on that campus, and that His favor and blessing was upon the ministry. 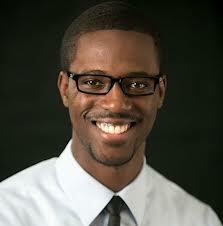 In 2008, Elbert was ordained and installed as the RUF Campus Minister of Jackson State University. 2. RUF at Jackson State is a Reformed Biblical resource for over 200 students weekly and the entire campus. The Lord’s favor rests upon the work and shepherding students at JSU remains thoroughly satisfying and needed. 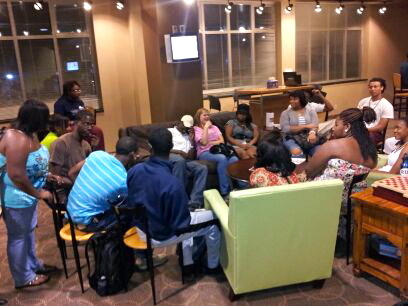 We now minister to over 200 students through Large Group, Small Groups, One on Ones and campus wide events. 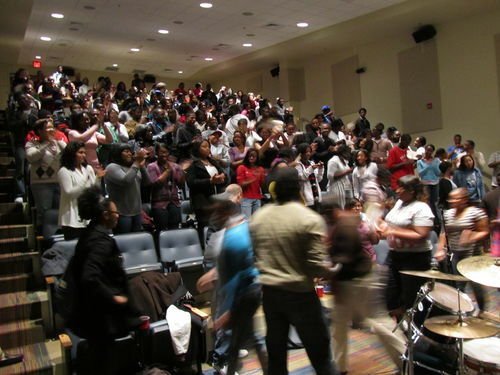 If you were to attend one of our Large Group Bible Studies on Thursday night you would find anywhere from 150-200 students (mostly Black) in fellowship, breaking bread, receiving expository teaching, engaging in Christ-centered worship, and from time to time we even lead them in confession of sin. A visitor two weeks ago was floored that we had so many students coming to a Bible study that was not flooded with games and gimmicks, just Jesus. We preach Christ and him crucified. Students receive Christ-centered theology on fire week after week. 3. RUF at Jackson State is about the business glorifying God. We are humbled by the Lord’s work on the campus of JSU and realize that this is not by our power or might but by His Spirit. What has taken place at Jackson State is a work of God and we give him all the glory. We desire week after week, day after day to point our students to a risen Savior who has died for their sins and is seated at the right hand of God the Father interceding on their behalf. Finally, I have been with RUF in some capacity since 2007 as a student or on staff. I came to a deeper understanding of the Gospel through RUF at Belhaven. My former campus minister and current friend, Chad Smith, loved and pastored me well. There will always be a special place in my heart for this ministry no matter where the Lord leads me. Nevertheless, I will transition out of RUF after June 2013 most likely into the local church. This is a huge step for me because for the past few years I thought RUF would be my call for a season as a campus minister. RUF has always valued the local church and never sought to replace it. “We are an arm of the local church” is what I always heard. My love for the local church and desire to do ministry in it came mostly from the influence RUF had on me as a student and on staff. 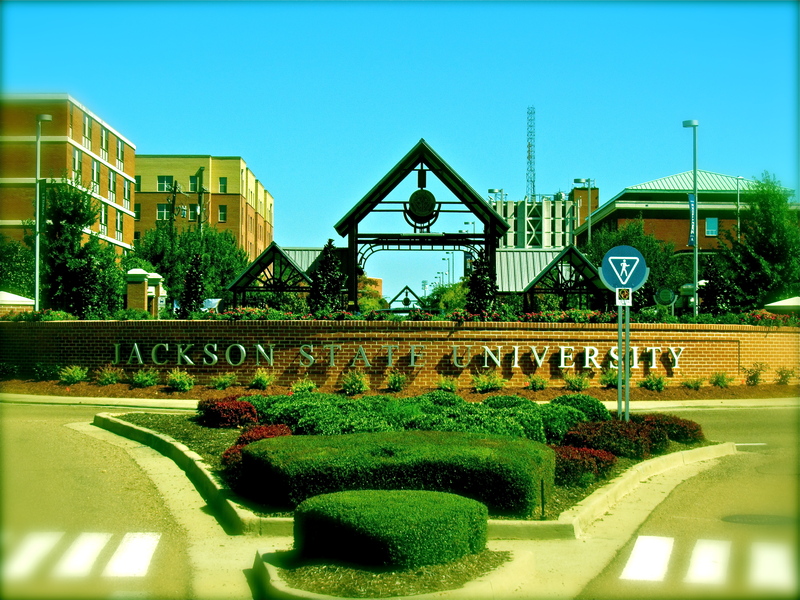 Although I’m transitioning out, there is still much work to be done at Jackson State. Apart from general duties as an intern, I currently lead a Small Group of about 10-15 students every Wednesday as well as meet with students one on one. I’m also scheduled to preach twice this semester. As far as major events go we are bringing in Grammy award winning artist Lecrae to Jackson State in 2 weeks along with a few other campus events we promote to encourage godly community and simply have fun. Therefore, I am asking for prayer and financial support so that I can serve faithfully for the remainder of the year without the distraction of financial burden. If you are interested in supporting my ministry with RUF there are a few ways to do so and you can find directions below. Anything you give is helpful. No gift is too small. Simply click here https://www.ruf.org/donate/ or go to www.ruf.org and click SUPPORT in the top right hand corner. On the next page click ONLINE DONATIONS at the bottom and fill in the required fields. Be sure to click STAFF MEMBER and scroll down until you see “Holmes, Phillip – JSU Intern” in the list. Here you can donate using a credit or check card. If you intend to give monthly, you can set it up to automatically give from your account monthly. Another way is to send a check with my name on the memo line. They can easily enter your gift from that information. You will receive a receipt and an envelope for your next gift. can stop or change your gift at any time by notifying Reformed University Ministries. Phillip was born and raised in Pickens, MS. He received a Bachelor of Arts in Biblical Studies from Belhaven University (2010) and is currently working on his Master of Divinity at RTS Jackson. He will complete his degree in 2015. Upon graduation he hopes to pursue ordination in the Presbyterian Church of America and minister in a multicultural context. He works as an Admissions Counselor at RTS, Assistant Resident Director at Belhaven University andMinistry Intern under Elbert McGowan, Jr. at Jackson State with RUF. Holmes is single and lives in Jackson, Mississippi. Follow him on twitter at @PhillipMHolmes. and Chromebook for instant messaging interaction (no video and voice however, these demand a connect-in set up).